The City of New Plymouth is in the process of creating a pathway through the horseshoe park. 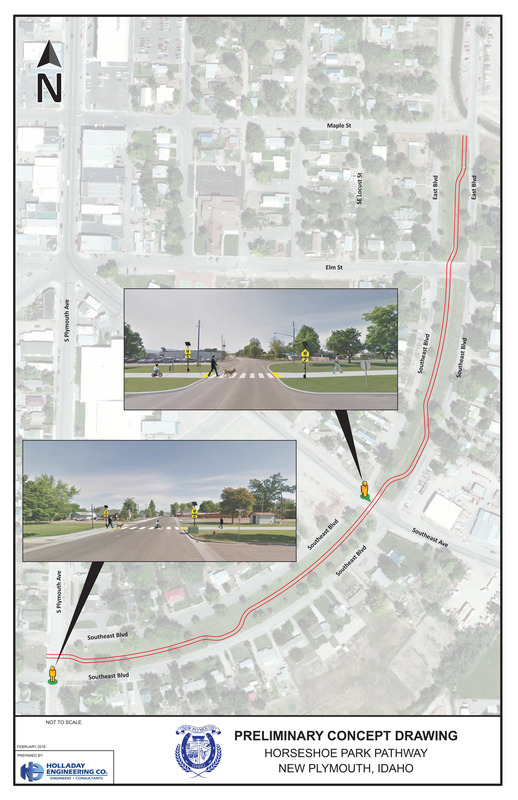 A picture of the concept is provided below and a presentation will be posted in City Hall. The city of New Plymouth is welcoming comments until March 13th, 2016. If you have any questions or comments contact Public Works Superintendent, Beau Ziemer through the contact page.